I often think back on my first experiences with the performing arts. As a small, shy child, I remember the excitement and preparation that went into a night out: my mother teaching me how to comb my hair and dress appropriately for these special evenings; turning through a fancy program with my tiny hands; learning when to clap and when to hold still; and holding my breath when I saw my first real-life ballerina effortlessly sweep across the stage. I was hooked! These first moments of trepidation when I was a child have evolved into a revered passion for performance art that has become part of my core. I often find myself reliving that familiar excitement from varied points of view. Every performance has a myriad of differences: lights, sound, genre, and story. However, within every one of these experiences, there is that same familiarity and anticipation before the curtain parts—the last deep breath before lights up. It is universal and unmistakable. To me, it is magic. As the Arts Programming Coordinator for the Celebrity Concert Series, I have the uniquely privileged position to facilitate this experience for our audiences. For over 60 years, the Celebrity Concert Series has been a part of this community due to our devoted patrons. Last year, our stage welcomed world-class talent, including Ballet West, GENTRI, Riders In The Sky, The Doo Wop Project, Lexi Mae Walker, and the Glenn Miller Orchestra. These performances would not have been possible without our generous donors, sponsors, and season ticket holders. Our vision is to present performance art that will inspire and educate our audience and our community. Performance is powerful; moments created on stage can inspire. From a standing room only sea of strangers to a quiet café with mismatched lounge chairs, the connection between performer and patron is unique and valuable. Through the Celebrity Concert Series, I hope that you are able to experience this same connection. 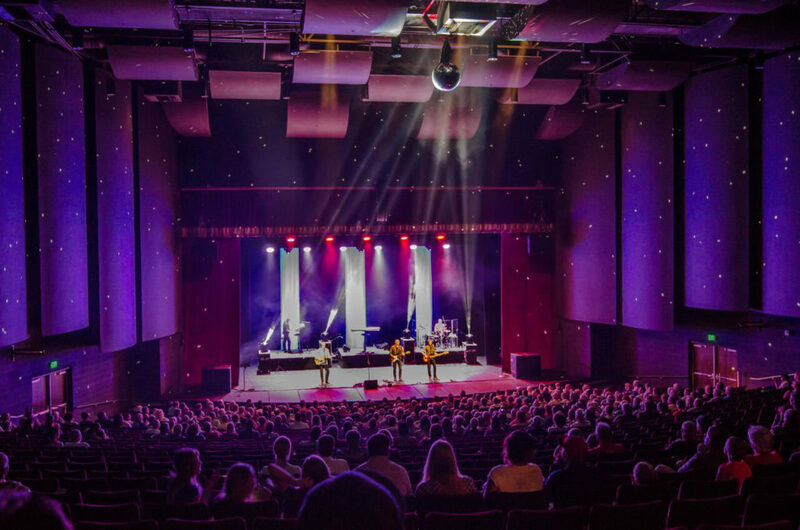 The 2018–2019 season continues to bring the variety and enthusiasm to the community for which the Celebrity Concert Series has become known. Our November performances provide an impressive range, from the international musical talent of the ATOS Trio with their beautiful melodies of classical perfection to a chart topping tour of rock and roll featuring the anthems and stories of The HIT MEN. I encourage you to reflect on connections you have felt within our auditorium and invite you to join us to experience your own special moments. Passion for performance art is a gift that should be shared by all, so bring a friend, get dressed up, and join us for an evening out at the Celebrity Concert Series. As always, enjoy the show! Is Elbow or Heel Pain Stopping You?